Above are some diagrams for installing the PsNee into a PU-23. 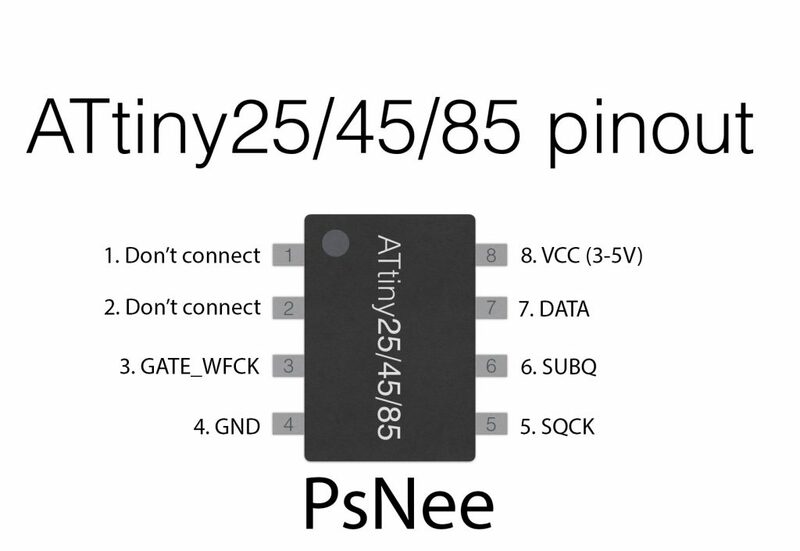 The first diagram shows the pinout of the ATtiny45, the second shows the installation diagram (including pin numbers for Arduino users), and the third shows some alternative points. Click on an image to open it in a new tab where you can zoom in to get more detail. Let me know if any of the points aren’t clear, I can clarify them for you. For DATA, be careful not to bridge the connection to the other resistor next to the one you are soldering to. 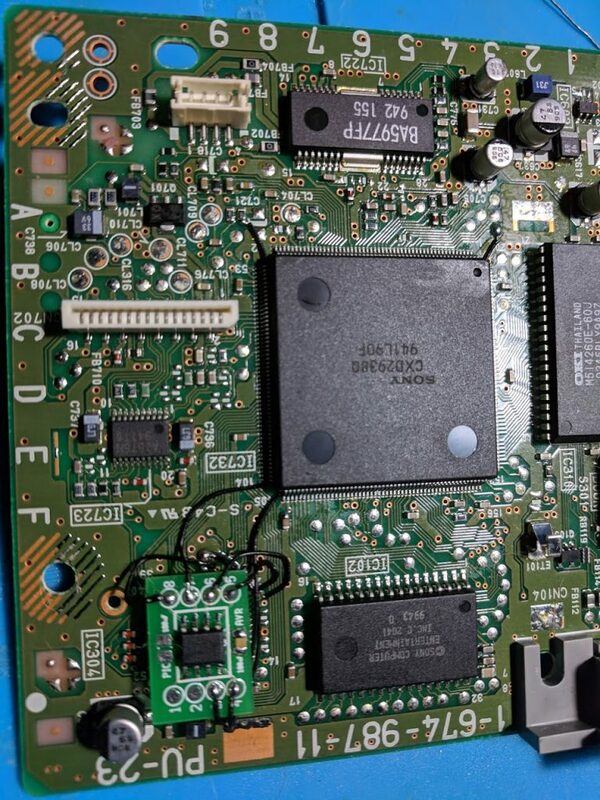 Don’t apply too much solder to SQCK, or you’ll bridge the pins on the chip. 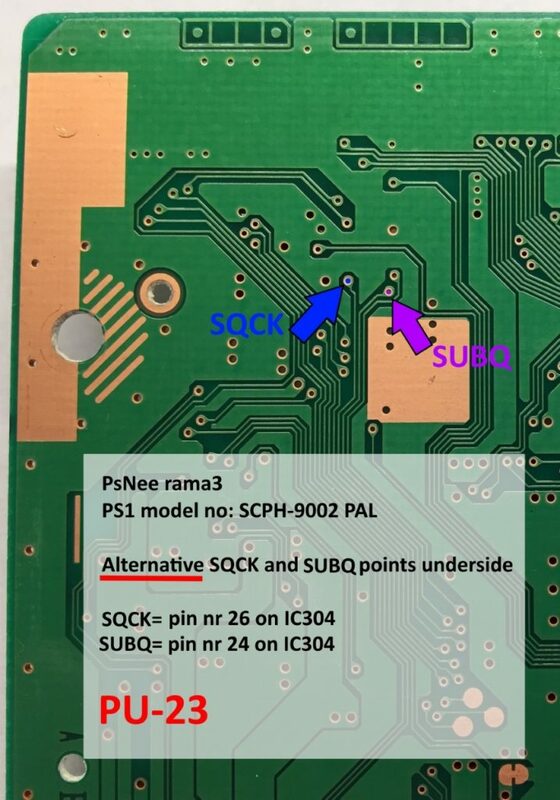 Placing the chip on top of the chip above SUBQ and SQCK is a good spot. If you want to use an arduino nano, you have to erase the bootloader. 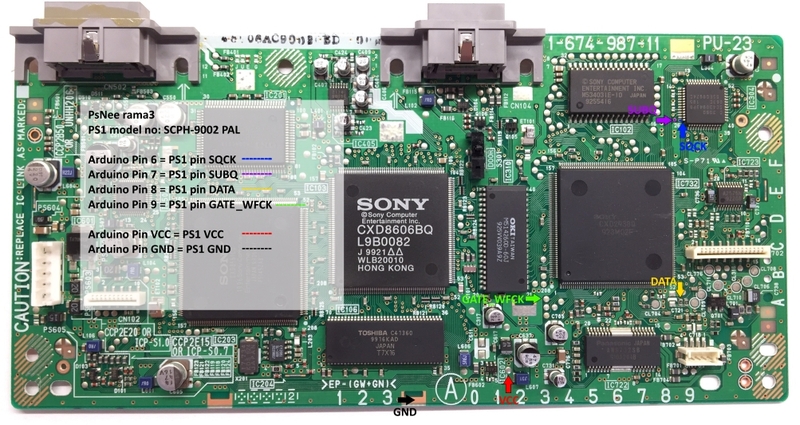 To erase the bootloader you have to write the code with an isp if not it is not going to work.